Anemia is a disease that leads to low oxygen carrying capacity in the blood. Early detection of anemia is critical for the diagnosis and treatment of blood diseases. We find that retinal vessel optical coherence tomography (OCT) images of patients with anemia have abnormal performance because the internal material of the vessel absorbs light. In this study, an automatic anemia screening method based on retinal vessel OCT images is proposed. The method consists of seven steps, namely, denoising, region of interest (ROI) extraction, layer segmentation, vessel segmentation, feature extraction, feature dimensionality reduction, and classification. 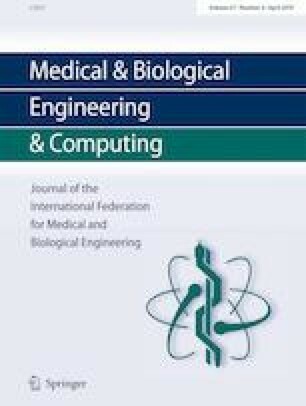 We propose gradient and threshold algorithm for ROI extraction and improve region growing algorithm based on adaptive seed point for vessel segmentation. We also conduct a statistical analysis of the correlation between hemoglobin concentration and intravascular brightness and vascular shadow in OCT images before feature extraction. Eighteen statistical features and 118 texture features are extracted for classification. This study is the first to use retinal vessel OCT images for anemia screening. 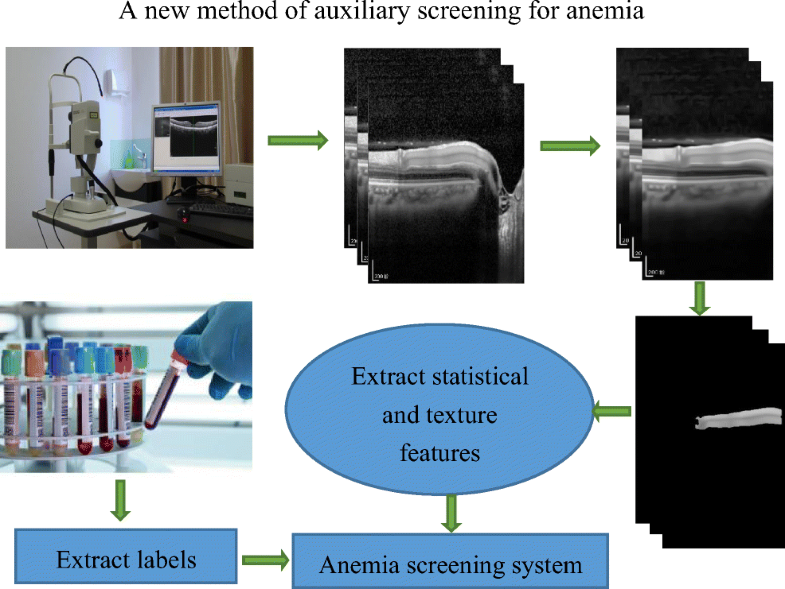 Experimental results demonstrate the accuracy of the proposed method is 0.8358, which indicates that the method has clinical potential for anemia screening. This research was supported by the National Natural Science Foundation of China under Grant Nos. 61672542 and 61702558. This study is approved by the ethics statement of the Second Xiangya Hospital of Central South University and with the 1964 Helsinki Declaration.